Friday, Feb. 22, 2019, 1 – 9 p.m. 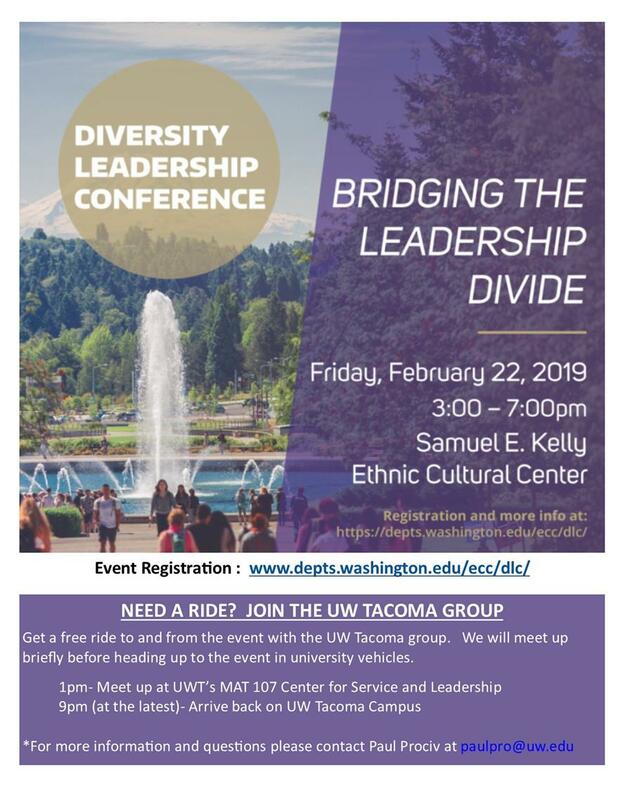 The Diversity Leadership Conference is a half-day conference designed for UW students to develop their leadership skills through a series of workshops and sessions with leaders from the UW and community at large. The conference is co-hosted by the Kelly Ethnic Cultural Center, the Career & Internships Center, and Housing and Food Services and is open to all undergraduate students. Get a free ride to and from the event with the UW Tacoma group. We will meet up briefly before heading up to the event in university vehicles.